KFNA will be working in the coming year to increase participation in this program. If you are interested in being a member of this Rocking Organic Team (ROT!) just send an email to Sarah@kingfield.org. 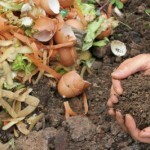 We will be hosting a Composting Café at Butter Bakery as our first team meeting in the coming weeks.